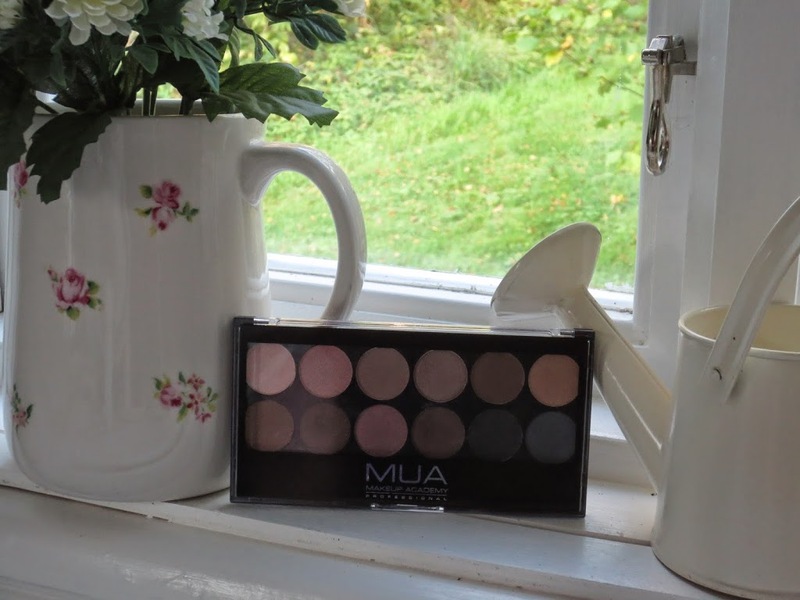 When me and my sister were in London in June I picked up an eye shadow palette from Makeup Academy. Since I spend quite a lot of time at M’s apartment I felt like I needed some basics to leave there, so I don’t need to bring the big makeup bag every time I go there. Since it was only £4 I thought it would be worth to give it a try, and not spend a whole lot of money on buying duplicates. And was I impressed? HELL YEAH! I chose the Undressed palette, with 12 different shade from a light beige to dark brown and grey, some matte and some with shimmer. I thought it was a perfect combination for a basic collection. It’s well pigmented and easy to blend. I like that I don’t have to work forever to get it to look nice. I like to sleep in in the mornings, so big plus! First time I used it I was a bit stressed and didn’t find my primer, so I worked it directly on to my eyelids. When I got home from work about 12 hours later it looked like it was just put on. Another great plus is that it didn’t irritate my eyelids. I can be quite sensitive, and might get a little itchy when I use eye shadow. None of that with this one! The only regret I have is that I only got one, and not the other palettes as well. I would highly recommend this product if you’re looking for a good palette that doesn’t burn holes in your wallet. This entry was posted in Beauty and tagged Eyeshadow, MUA, Review by Anna S. Bookmark the permalink. Such a great pallette. I’ll have to look out for those! 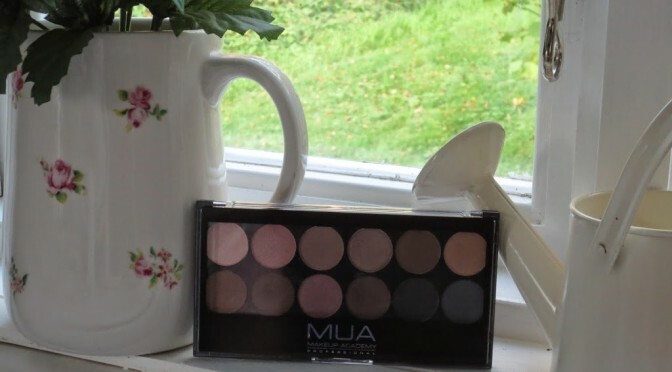 I love this palette, even though it is very inexpensive the eye shadows are very pigmented. What a gorgeous palette! So versatile!